The Florida senators have long had a close relationship. 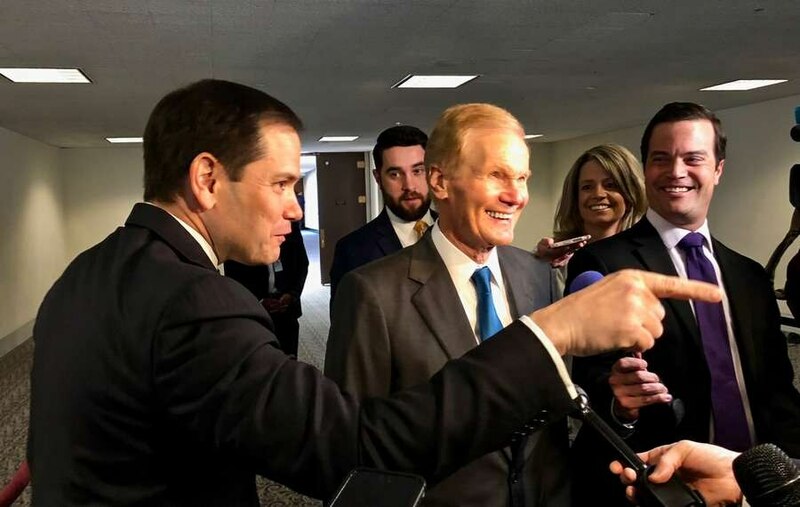 WASHINGTON – Sen. Bill Nelson and Marco Rubio have always enjoyed a close relationship but one can't avoid seeing it through a political lens as Democrat Nelson heads into a tough re-election campaign. April 4: Nelson, Rubio call for investigation into Puerto Rico's ongoing power woes. April 12: U.S. Sens. Bill Nelson (D-FL) and Marco Rubio (R-FL) introduced legislation today aimed at improving the quality of care provided to newborn babies suffering from opioid withdrawal. April 12: U.S. Sens. Bill Nelson (D-FL) and Marco Rubio (R-FL) and Rep. Carlos Curbelo (FL-26) today sent a letter to FEMA Administrator Brock Long urging the agency to expedite the reimbursement of disaster-related expenses owed to local governments in Florida and elsewhere. April 18: U.S. Senators Marco Rubio (R-FL) and Bill Nelson (D-FL) today urged the Federal Emergency Management Agency (FEMA) and the Governor of Puerto Rico to extend the Transitional Sheltering Assistance (TSA) program for Hurricane Maria victims through, at least, the remainder of the current school year. April 18: U.S. Senators Marco Rubio (R-FL) and Bill Nelson (D-FL) today hosted various government officials, families impacted by the Parkland shooting, experts, and leaders for a forum on intervention and prevention of school gun violence, in addition to a focus on the use of technology in school security. April 25: U.S. Sens. Bill Nelson (D-FL) and Marco Rubio (R-FL) introduced legislation today to improve and protect a joint U.S. Department of Veterans Affairs (VA) and Department of Housing and Urban Development (HUD) program designed to help homeless veterans find permanent housing. April 25: U.S. Senators Marco Rubio (R-FL), Chuck Grassley (R-IA), Bill Nelson (D-FL), and Orrin Hatch (R-UT) today introduced the EAGLES Act, legislation that would expand the U.S. Secret Service's National Threat Assessment Center to help communities proactively mitigate threats of violence at schools. 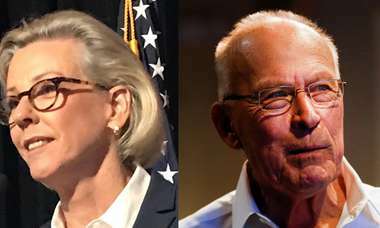 This is how it's supposed to work, of course, but Nelson will play up the relationship on the campaign trail, arguing that he can work with the other side and get things done for Florida. Rubio has said he won't campaign against Nelson but that he supports Gov. Rick Scott. It's something to watch as the campaign progresses.